Do you need help? Are you bereaved by suicide? Operation Life Online – Suicide prevention website developed by the Department of Veterans’ Affairs. Postvention Australia – For the bereaved by suicide and those who support them. Beyond Blue – provides information and support to help everyone in Australia achieve their best possible mental health, whatever their age and wherever they live. Black Dog Institute – is a not-for-profit organisation and world leader in the diagnosis, treatment and prevention of mood disorders such as depression and bipolar disorder. Sane – supports Australians affected by complex mental illnesses. Bereaved by Suicide Centre for Intense Grief – (NSW) Dr Diana Sands. Information on “Restoring the Heartbeat of Hope” group programs available. National Association for Loss and Grief Inc – provides FREE loss and grief support to those who are grieving. 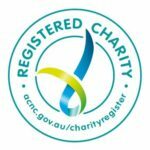 Australian Centre for Grief and Bereavement – is an independent, not for profit organisation and is the largest provider of grief and bereavement education in Australia. Bereavement Care Centre – offers complete bereavement care services including bereavement counselling, educational courses, educational books & DVDs and information for bereaved adults and children. Loved Ones Belongings – Author, Anne Jennings can help when you find yourself going through the personal effects of someone who has died. Feel the Magic – supporting children grief education and support program.